A great result is a noticeable change with a natural appearance; my best work is work that cannot be easily recognized,” Dr. O’Hara explains. Board Certified in Plastic Surgery, Dr. O’Hara draws on decades of intensive medical education, surgical training, expertise, and meticulous attention to detail when enhancing or refining the natural beauty of each of his patients. He approaches the art, science, and medicine of aesthetic plastic surgery from a realistic perspective with attention to each patient’s personal health profile and individualized physical features. His straight-forward approach and professional integrity combined with years of extensive surgical training and experience are what distinguish him in his field. He provides his patients with the confidence and comfort level they seek when considering a wide range of extended or complicated in-patient procedures, or simple non-invasive facial and body enhancements. While noted for his expertise in reconstructive cosmetic surgery for the most complicated of cases, most patients come to Dr. O’Hara for a full range of services, from aesthetic non-invasive rejuvenation procedures of the face and skin (including Botox or injectable fillers and facial resurfacing) to full face lifts, body contouring, breast lifts and enhancements, tummy tucks, etc. At his newly relocated facility at Oaks Plaza, Dr. O’Hara and his staff provide the highest standards in patient care from consultation and surgery through the healing process. A patient’s individuality and confidentiality remain paramount, beginning the moment of initial consultation. Today there are countless options in plastic surgery. Feeling confident about and “connected” with the professional you choose to entrust with your health and body is the most important decision you will make when seeking enhancements. Dr. O’Hara spends a significant amount of time with each patient to discuss their personalized goals, concerns, and medical profile to ensure that realistic transformation, procedure, and healing and recovery expectations are met or exceeded. Once Dr. O’Hara and his patients are comfortable with choosing the best options appropriate for them to fulfill their personalized goals...the transformation begins. Board Certified in General and Plastic Surgery, Daniel O’Hara, MD draws on decades of intensive medical education, surgical training, expertise, and meticulous attention to enhance the natural beauty of each of his patients. He approaches each as their own canvas, with Dr. Dan (as he affectionately called by his patients), guiding them through each step of their transformation. Dr. O’Hara earned his Bachelor of Science degree in Chemistry from Hobart College, and his medical degree from State University of New York, and completed his residency and Plastic Surgery Research Fellowship programs at the University of Pennsylvania Medical Center and Children’s Hospital of Philadelphia. Dr. O’Hara is a member of the American Society of Plastic Surgeons, Palm Beach County Society of Plastic Surgeons, Florida Society of Plastic Surgeons and Greater Boca Raton Chamber of Commerce. 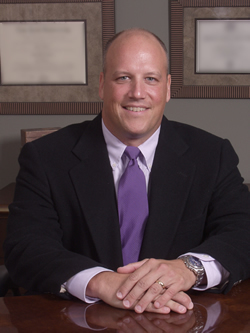 Dr. O'Hara is in private practice in Boca Raton and maintains hospital privileges at Boca Raton Community Hospital.